KPMG is widely known as one of the Big Four Accounting Firms in the United States. On a consistent basis, KPMG has ranked as one of the top Fortune 100 companies to work for. KPMG Internship Program is geared towards providing ongoing training as a foundation of the overall program. Interns begin their internship with a week of technical and soft skills training and then move on to participate in a number of structured programs that provides them with a true understanding of what employees at KPMG actually do. Interns may also decide to apply to the global internship program where they will spend four weeks on assignment at an international KPMG office. KPMG offers interns a very impressive hourly salary while interning at the company. Since 80% of full-time KPMG employees come from their internship program, there’s an excellent chance of getting hired once an internship is completed. Interns also get an opportunity to participate in KPMG’s Interns for Literacy Program which works to donate books to underprivileged children. KPMG seeks candidates possessing good technical skills, problem-solving abilities, and commercial focus. For the global internship programs, they may have some language proficiency requirements as well. KPMG offers internships across the country. There are also a wide variety of locations for students interested in participating in the Global Internship Program. The selection process for the www.kpmgcampus.com Global Internship Program (GIP) is very competitive and the company seeks to find candidates who they believe will fair well in an international environment, who may have already had an opportunity to complete an international experience on their own, and find out more about what motivates each candidate for wanting to do an international internship. Those interested in the global internship program also get their lodging and airfare paid for by the company. Opportunities for the global program exist in tax, audit, and advisory. KPMG recruits from various college campuses throughout the year. You can check with the Career Services Office at your college to see if they will be recruiting at your school. 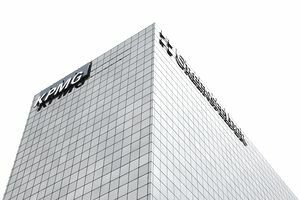 Other ways to get in touch with a KPMG representative is to perhaps schedule an informational interview with an employee of the company (maybe your school has an alum working at the company) or check for potential contacts via social networking sites, such as LinkedIn, Twitter, and Facebook. When interviewing for a global internship, applicants will get a chance to make a positive personal impression and provide information that will help the company to select an international location that may be best for each participating intern. KPMG also provides full placement support for international internships by including visa, flight, and lodging cost coverage. KPMG also offers a Global Mobility team that provides each intern with information on how to get the most out of their internship experience. KPMG also provides a performance manager and mentor to help each intern to be able to realize their personal and professional goals throughout the internship. Previous GIP’s have also spoken highly of the relationships they were able to make during their internship experience. As with any international experience, KPMG’s Global International Program gives its interns an opportunity to learn about new cultures and an experience of a lifetime that will benefit them throughout their future career.